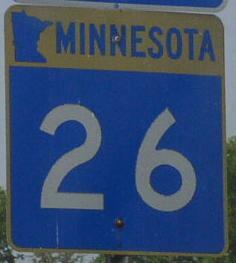 Minnesota State Route 26 is a north-south highway in Eastern Houston County. It runs from Minnesota State Route 16, near La Crescent, to the Minnesota/Iowa State Line, near New Albin, IA. MN St Rt 26 passes through the following town in Houston County. MN St Rt 26 is not multi-plexed in Houston County. MN St Rt 26 intersects the following highway in Houston County. Minnesota State Route 16, near La Crescent. 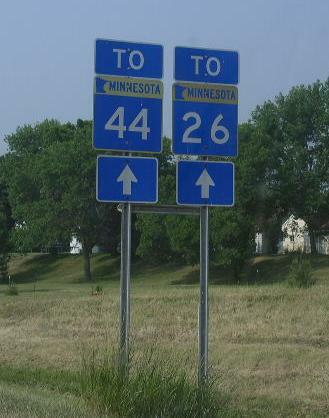 A set of guide markers on WB MN St Rt 16.